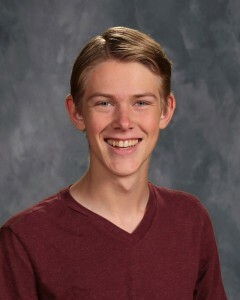 Emporia High School student Braxton Pauls has been named the 2016 Kansas Young Male Referee of the Year by the Kansas State Youth Soccer Association. He received the award at the annual awards banquet Jan. 28. This award is given to those referees who, not only excel on the field, but also in the classroom and community, according to the Kansas U.S. Soccer Federation Referees website. The EHS junior has been refereeing soccer for four years and, at age 16, he was the youngest referee selected to officiate the Region 2 Youth Soccer Championship for U.S. Youth Soccer last June in Indiana. Pauls was an avid youth soccer player who was invited four years ago by an acquaintance at the Emporia TRYSA fields to consider refereeing. He decided to give it a try and started his career in the Kansas City area where he participated in the Kansas State Referee Development Program. He plans to continue to develop his skills on the field, which in turn leads to better assignments. As his skills and reputation grow, he finds he is invited to referee higher levels of competition. “It’s definitely something I want to try to get better at. They sky is the limit,” he said. In addition to a high interest in soccer, Pauls is an accomplished pianist. After high school, he plans to pursue a career in piano performance.